Yesterday, I noted that I was beginning to dive into the 2017 Deloitte Global Human Capital Trends report, which looked at the challenges ahead for businesses and HR professionals. Based on analysis of a survey of more than 10,400 business and HR leaders globally, the report noted ten trends, the first of which is the organization of the future. The chapter in the Deloitte report on “The Organization of the Future: Arriving Now” was authored by Josh Bersin, Tiffany McDowell, Amir Rahnema, and Yves van Durme…a global team which in itself models what follows. The report noted that organizational design was top of the trend list because high-performing companies today operate radically different than they did 10 years ago (which is when I first moved in to faculty development). I would suggest that – as in business – the trend in faculty development is to move faster, adapt quicker, and facilitate rapid learning. This may suggest a different organizational structure for centers for teaching and learning (CTLs). Organizations …including CTLs… were designed in the past for efficiency and effectiveness, which led to a typically hierarchical structure. Yet, as Harold Jarche has noted often, networks are the new companies…and in today’s environment, networks can be both on site and digital. 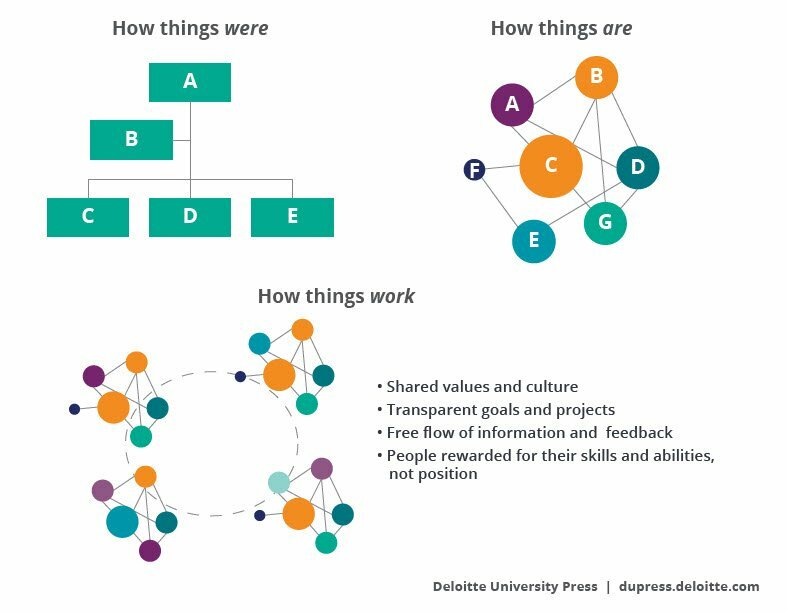 The Deloitte report suggested that high-performing organizations are shifting from hierarchies to team-based (and project-based) nodes. In the past decade, we have seen CTLs grow nationally. Two years ago, I looked at the trends across 42 public and state institutions. There was no one pattern to center design. Nationally, there were 8 megacenters that covered both teaching/learning and edtech, 28 centers that focused just on teaching and learning, and 15 centers that focused just on edtech/online. Seven institutions had no centers of any kind. Center staffing ranged from one part-time member to 90+. The average CTL had a staff of 5.7, the average edtech center had a staff of 25.9, and the average megacenter had a staff of 30.3. Those that split the duties tended to staff the edtech side better, and there generally was duplication of services when centers were split. Whether staffed with 6 people or 60, it would seem that the CTL of the future would involve teams that would form, deliver and disband…potentially using faculty in temporary CTL roles (such as Northeastern’s CATLR Faculty Scholars program). The Deloitte report suggested an intriguing concept (at least intriguing when it comes to faculty development) of using organizational network analysis (ONA) software to study who is talking to who, allowing an organization to tap into existing networks. The report also suggested that the leaders of these networked teams would need skills in negotiation, resilience, and systems thinking. The past skills that allowed leaders to rise to the top might be the wrong skills for agile networked teams! These new networked teams would not necessarily be co-located, and would use a variety of social collaboration tools such as Slack, Trello, Facebook’s Workplace and/or Google Team Drives. Would higher education embrace such a model? It is difficult to say. In some respects, higher education continues to look forward by looking in the rear-view mirror. 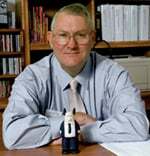 Yet, there are calls for change…and CTLs have been innovators in the past. Quickly evolving times call for new approaches. I would be interested in your thoughts? Is this realistic or a pipe-dream?